Our friendly reception staff will be happy to take your booking or answer your questions. Book your next appointment or enquire about our range of services via email. 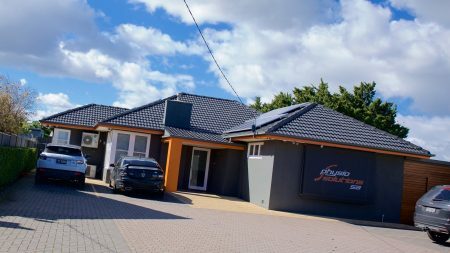 Physio Solutions SA have ample off street car parking right on the premises – with disabled parking and easy access! 681, 720, 720H, 734, 734S, AO8. Physio Solutions SA are preferred providers with BUPA, MBF, HBA & Medibank Private. Physio Solutions SA accept Work Cover claims, CTP Insurance claims, Dept. Of Veterans Affairs, Medicare EPC plans and Home Visits. HICAPS allows you to claim your private health ‘extras’ rebates immediately – all private health insurance funds are covered. Payment and gaps payments are required at the time of consultation. Physio Solutions SA provides a comprehensive solution to your physiotherapy and rehabilitation needs in Adelaide’s South West Region.